"We love partnerships, your business size just doesn't matter at all"
- Reselling or distributing OKION products/solutions? Thank you for your interest in OKION's Distribution Partnership Program (ODPP). Are you looking for ways to increase your revenues, expand your market reach, and offer premium mobile computing peripheral to your customers? Are you interested in earning significant product discounts as you sell more OKION products? Then the OKION Distribution partnership program (ODPP) is for you. Please always visit OKION Worldwide Distributors' Support Centre for most recent informations, new product releases and announcements that support your sales and marketing of OKION products/services. Are you interested to become OKION distributor? Consumers are always excited to see new products and services come into market? Why narrow your manufacturers' choices if you know there's excellent alternatives out there? Contact us now and see how OKION can offer your business the highest quality mobile computing products at an unbelivable distribution volume price. Are you a reseller / e-tailer within US/Canada? 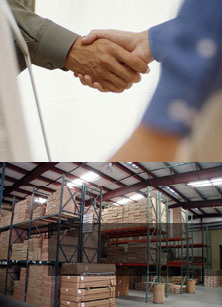 We appreciate all partnership with absolutely no consideration of size of your business. If you, your retailer or e-tailer business are interested in reselling OKION products/solutions to your retail customers and end-users in US/Canada? You can always visit OKIONDirect.com for US/Canada Resellers to learn how to stock OKION products online and enjoy the great reseller pricing and great supporting benefits. However, should you are interested in reselling OKION products OUTSIDE US/Canada, please contact reseller@okion.com for distributor information nearest you. Are you an International distributor / wholesalers? Why miss the great oppotunity to introduce highest quality mobile computing products to your general public in your country?? If you have access to customers in OKION' market in your geographical area, it sure makes sense to consider becoming OKION International Distributor Partner. Contact Ms. Catherine M. now and discuss how to become an OKION distributor. Thank you for your interest in OKION's OEM/ODM Program. Learn why it can be so prosperous to partner with OKION. With years of experiences, OKION is capable in realizing customer's ideas and solving their problems, and thus to tailor-make the product in the way meeting customers' exact specifications, no more and no less. For OEM/ODMs, OKION offers to build-to-spec, private label and custom design products for integration. All current OKION products are available in standard or customized packaging, board sets are also available. Based on OKION's professional ODM/OEM service, the customers will earn the competitive advantages with the effective reduction of the TSC (Total System Cost) and time-to-market. In addition, to protect the customers' interests, OKION will not provide the specifically designed products/solution to other customers to ensure highest confidentiality. With its outstanding performance in product design and manufacturing management, OKION has been recognized as strategic partners with many major main-brand computer OEM accounts. In addition, OKION is actively pursuing co-marketing and partnership opportunities with compatible product lines. We invite you to contact Stephen C. Karl who is administrating the program. If you would like more information or to discuss a specific product or idea, please feel free to contact her.